Bill is the founder of Pacific Tax, opening this firm in 1975. Bill has been serving the Ballard community and surrounding Seattle area for over 40 years. Bill grew up in the Seattle area, attending Odea High School, University of Washington, and Seattle University. Bill is looked up to with admiration and support from his. Chris has been with Pacific Tax since 1999. He has experience in personal income tax, business tax, and financial accounting. 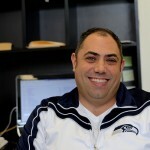 Chris attended Seattle University & the University of Washington. He enjoys meeting with new clients and maintaining a strong relationship with his current. Chris has been on a board of directors for a credit union. Kurt has been a Tax Accountant at Pacific Tax since 2001, following in his father’s legacy. He grew up watching his dad work in the same offices, where he works in today. 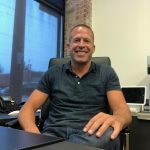 Kurt specializes with personal income tax, rental properties, small partnerships, self-employed entertainers, & small individual business / consulting. Kurt was born & raised in Seattle and went. 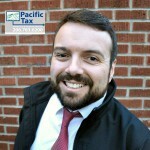 Mike has been a Tax Accountant at Pacific Tax since 2008. He grew up in Edmonds and later attended the University of Washington. 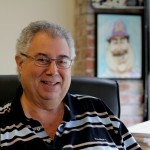 Mike specializes in personal and small business income tax. Mike’s approach with his clients is to not just be there for them during tax season but also help guide them through difficult tax-related. Tommy is a local Seattleite and alumni from Seattle University. 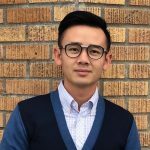 With a background in accounting, Tommy brings wealth of knowledge and expertise in personal and small business income tax to Pacific Tax where he is continuing into his 7+ years as a professional license tax accountant. His professionalism and commitment to providing exceptional services to.